Electronics can be difficult items to store. They are delicate items that need to be stored carefully and properly in order to ensure that they are in proper working order when they’re taken out of storage. Storage units are a popular method of storage, but take the proper steps in preparing your electronics before putting them into the storage unit. Selecting a storage unit is an important matter. The unit should look well-maintained and appealing. It should be dry, clean and at a moderate temperature. It’s also a good idea to find a storage unit that is on high ground. Storage units in downgrades or valleys can cause water buildup during bad rain or snow storms. Remove any batteries from the electronics before storage. Batteries can corrode and leak battery acid when left alone for too long. This can damage your electronics beyond repair if you’re not careful. Any loose parts, such as wires or accessories, should be untangled and taped securely to the device. Use tape that won’t be difficult to remove later on to prevent residue on your device. 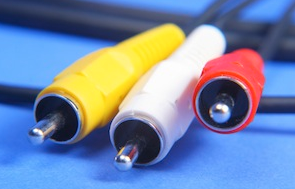 Smaller electronics should be placed in either their own specified cases or in vacuum seal bags. These allcases are airtight and water-proof, and prevent dust or water from getting into the case. Vacuum seal bags can be found in many different sizes at reasonable prices. They can usually be found in grocery stores, general stores and in some electronics stores. Guitar amps need special care when being stored. Old tube amps should have the tubes removed before storing. Either open up the amp yourself or have a professional check it out to ensure everything is working properly. Wrap the amp in bubble wrap and keep it in a very cool and dry area. For older types of amps, remember to turn them on every now and then to ensure the caps don’t go bad. Storing electronics requires being organized as well as clean. Storing items in an organized fashion means you will be able to take them out of storage quickly and easily. If possible, try to organize the unit in categories to make everything easier to find. Buy some hooks for the walls to hang up items that shouldn’t be stored on the floor. Wall hooks can be found in any hardware store and are easily installed on flat surfaces. Not only will it help prevent damage, but it will also create more organization in your storage unit. Remember to always store your electronics in a clean, dry, safe and organized manner and you can keep your electronics working like new for years to come. Mike has been freelance writing for a few years now, and is looking into getting his novel published.